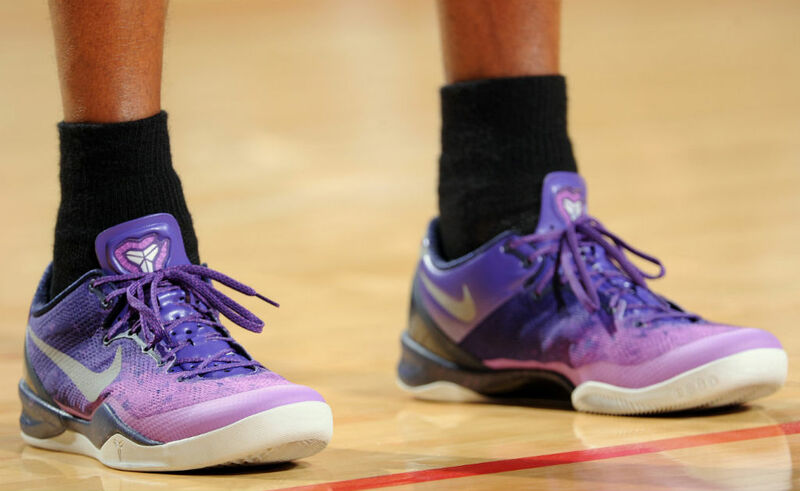 Ahead of Tuesday night's game, Kobe let us know that he'd be wearing his "Purple Gradient" Kobe 8 System against the Rockets on Twitter, and then he went out and did just that. 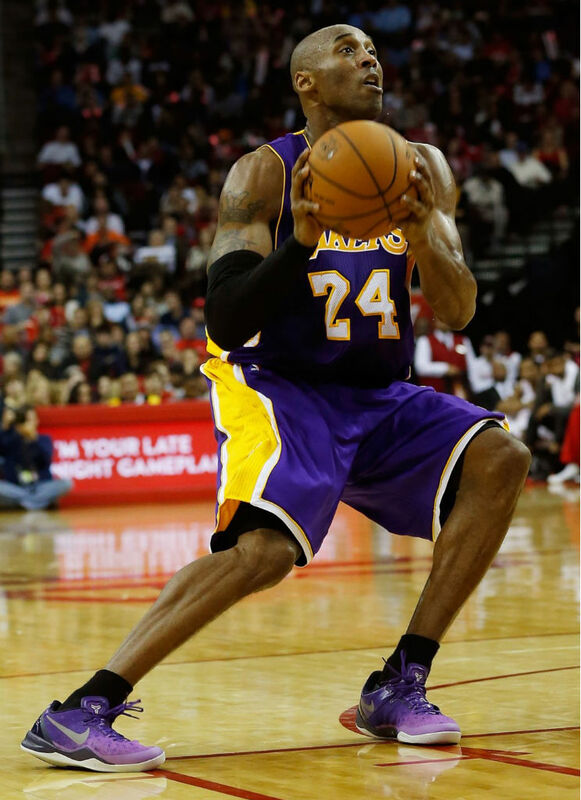 Last night, Kobe Bryant and the undermanned Los Angeles Lakers traveled to Houston to take on James Harden and the Houston Rockets. Losers of three-straight, the Lakers put their best effort forward, but were ultimately outplayed by a hot Rockets team clicking on all cylinders. 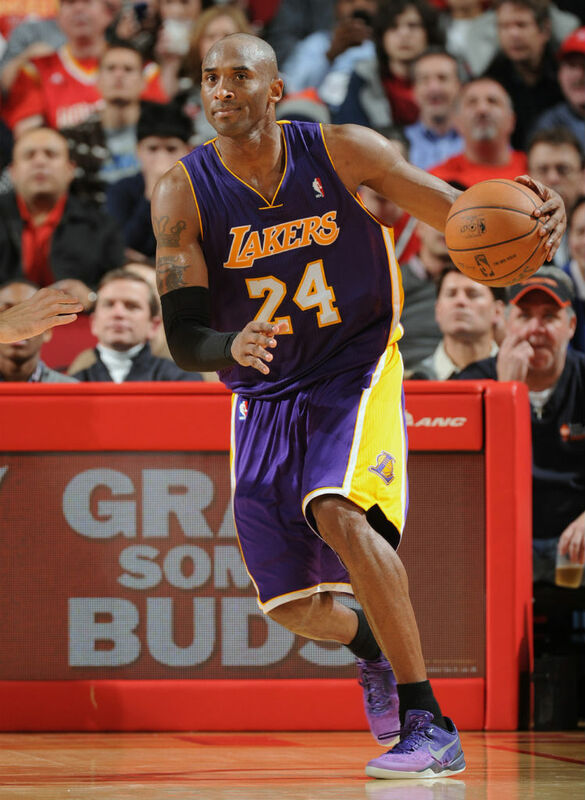 Led by Harden's 31, 9 and 6, Houston cruised by LA 125-112. 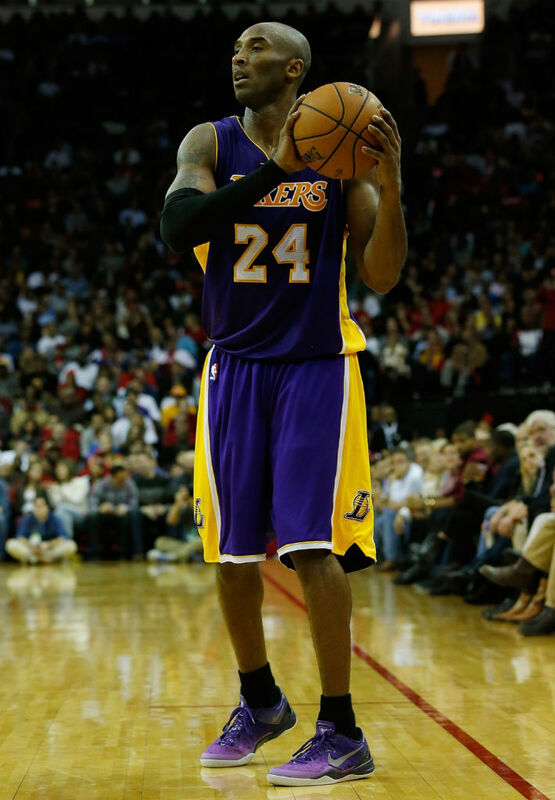 Kobe went for 20, 7 and 5. 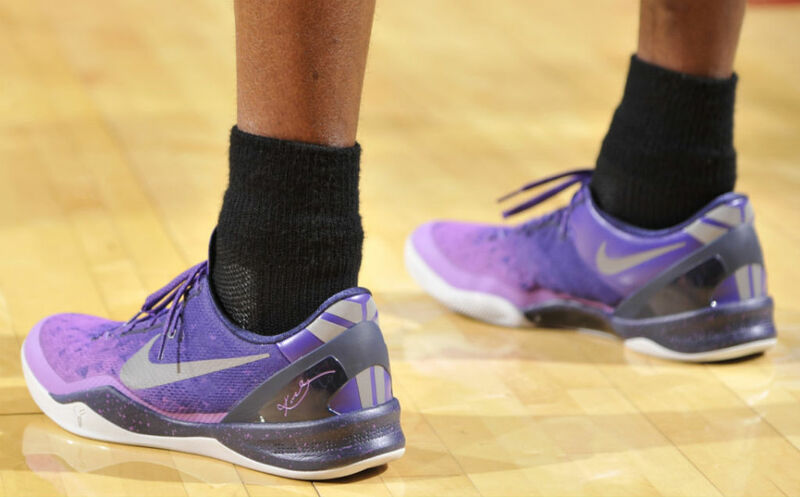 Ahead of Tuesday night's game, Kobe let us know that he'd be wearing his "Purple Gradient" Kobe 8 System against the Rockets on Twitter, and then he went out and did just that. 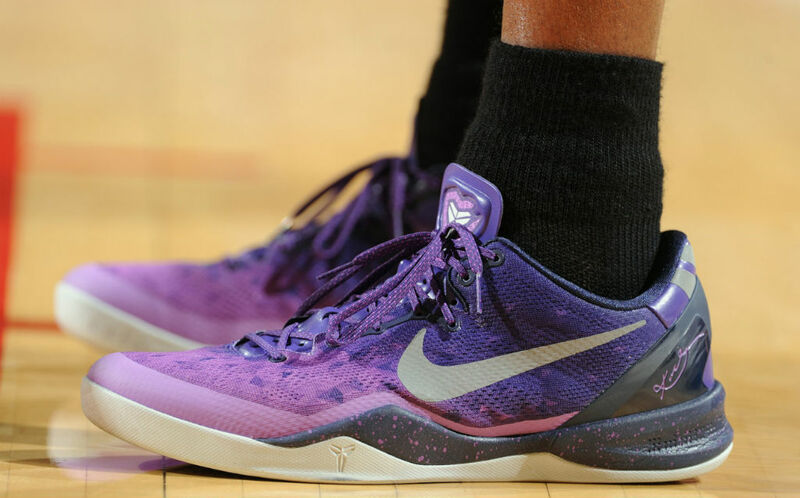 Below are a few game shots and several detailed photos of Kobe's kicks, which feature varying purple tones, silver accents, a speckled midsole and white outsole. Would you cop a pair if they drop?